Now that we’re beginning to see some summer weather in the North East of England it’s time to take your new car out for a country drive. We’re lucky to have some beautiful countryside in the North East that is often taken for granted. Over the next two months we’d like to share with you some of our favourite roads and journeys in the North East. Remember to be careful when driving on unfamiliar roads, especially narrow country lanes. Oncoming traffic often covers both lanes and there is the risk of livestock, horses and slow-moving farm vehicles being on the road. 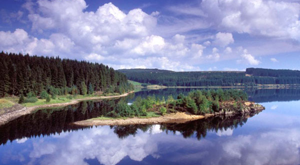 Driving towards Kielder offers stunning views of the Northumbrian countryside. We suggest turning off the A69 and taking the A68 North. A fairly straight and safe road the A68 offers stunning views as you rise over and between valleys. After arriving at Kielder Water be sure to continue the road around the reservoir. Driving amongst huge pine trees is reminiscent of drive through a Scandinavian forest! If you’d prefer to go South from Newcastle then this drive is perfect for you. As you leave Northumberland you’ll reach the Derwent Reservoir. With gorgeous stonework it’s quite different from most reservoirs. As you follow the road further you’ll drive through the beautiful valleys of Weardale and into the North Pennines. 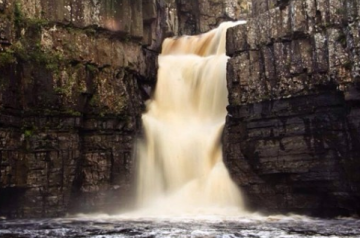 In what feels like no time you arrive at the immense High Force waterfall.